This is an older video, but it speaks to the design passion behind doing this unique one-off. of2worlds, anunakki and gt1995 like this. Don't know about the orange minivan/convertible, but the Lexus "Luxury of Space" has been in the rumor pipeline since last Fall. Looks like the allure of Chinese money is too large to resist. The vehicle is suppose to debut for the Asian market at the Shanghai Auto Show on April 16th. The nightmare is coming true this coming Tuesday. Let's hope that front end was a head-fake! The poor mans Ferrari FF had these been mass produced. 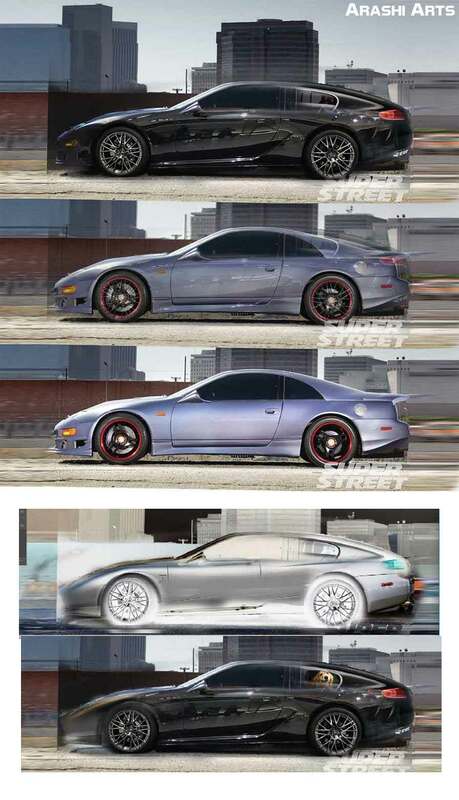 I plan to put a kit on my old Nissan (300zx 2+2) sports car and nothing like this is really available in the market. The next generation Highlander will be introduced next Wednesday in New York. This is the teaser- rather artsy. of2worlds, anunakki and NeuroBeaker like this. anunakki and Protouring442 like this. Other than a bit too much overhang, I think this guy did an incredible job. It's a nice, modern version of a hundred different muscle-era cars, and I think it worked out quite well. ModernLou, anunakki, colombo2cam and 3 others like this. ^^^ I see a bit of Dodge and Mustang on the front, Fairlane Fastback on the roof, and Mustang/T-Bird/Charger on the rear. Agree on the overhangs, very rollerskatey. I see Oz Charger, although it’s clearly Ford throughout. Some 72 Sebring/69 GT 350 front cone, Maverick/70 Torino/71 Mustang everywhere else, maybe 72 Cyclone / T Bird on the tail. Looks factory, great job. anunakki, Tenney and Protouring442 like this. 1984 Pontiac Firebird and is running with a Chevy 5.7 LT-1 (350) V8 engine and automatic transmission. Protouring442, jm2 and Isobel like this. I see a lot of Australian and maybe Brazilian FORD in this car. Nothing very original. I like the front vents and wish GM had put a few of those on the newer Holden GTO's. During 5th grade Art Class (1969) we had to "create something" from a solid block of plaster. The mold was a quart-sized milk carton. I carved a vehicle that, as things turned out, was very reminiscent of the Lumina Minivan. Yeah, pretty boring. Sorry. But the TransVan show car was interesting. Too bad the production platform didn't allow more of its proportions. of2worlds and Protouring442 like this. Can see Mannix in that thing if his show was still crankin' in the '80's. of2worlds and jm2 like this. Did this tail design ever exist on a production car (Firebird or otherwise) or did this guy make it up? It's really fantastic. Looks like a mix of a couple Mustang designs. 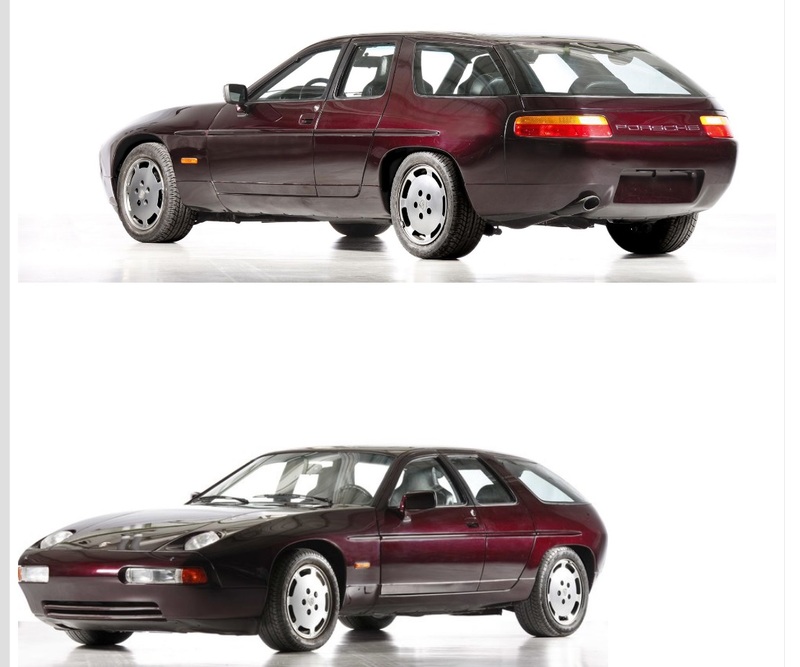 I read someplace else that the rear end came from an Australian Ford Falcon, but I couldn't find any matching designs like this so I wasn't sure if they were talking about the aesthetic rear end or the mechanical one. True, but you can see various year Ford Mustang and Shelby Mustang elements in it. Maybe some other Ford products as well.